Tess is an eighty-two-year-old woman, living in a care home. Every morning a nurse checks on Tess and will help her where needed. Tess tries to extend these visits as long as she can, because it means not feeling along for a few minutes of the day. Her son lives in Australia and besides their weekly phone call they haven't got much contact and they haven't seen each other in years. 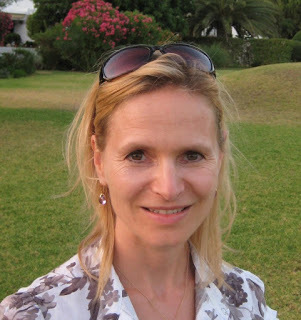 When Sandra, a new member of the staff, enters Tess's apartment they have an instant connection. 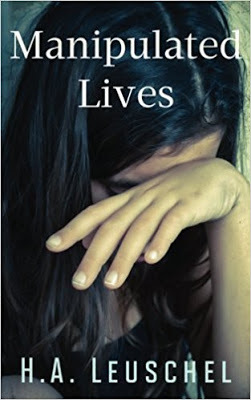 Tess's life has been anything but easy and for the first time in a long while she finds comfort talking about it. Is their bond strong enough for Tess to show her true colors to her new friend? It's clear from the start that Tess has led a troubled life. She intrigued me straight away and it filled my heart with sadness that she feels so alone. Sandra makes Tess's life a bit brighter every day. Their friendship feels genuine, like they're kindred souls, even though there's a big age difference between both women. I had tears in my eyes while reading their beautiful and emotional story and I was glued to the pages from the beginning. Tess and Tattoos is a heartbreaking story about a scarred woman who fell in love with the wrong person. H.A. Leuschel skillfully describes every emotion involved and the pure fear Tess must have had throughout the years really stands out. The care home sounds wonderful with a well kept garden and nice staff, the nurses are taking good care of the residents, which warmed my heart. H.A. Leuschel gives away bits and pieces of Tess's life but never reveals the complete story until the very end, which is something I loved. Tess and Tattoos is a great compelling story that I could only read in one sitting. If you love gripping life stories Tess and Tattoos would be a perfect choice. 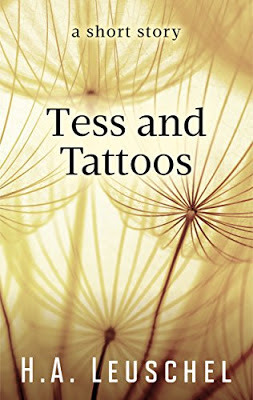 Tess and Tattoos sounds like a beautiful, thought provoking short story that packs an emotional punch. Love the cover, it reminds me of childhood wishes. Great review, thank you for sharing it. It sounds like a very emotional read and I would love to ignore reality for a while and forget the fact that nursing homes are understaffed and the residents aren't cared for as well as they should be. Looking forward to finding out if I figured out the story. I usually enjoy reading books where the protagonist is elderly, sounds interesting. This sounds like a great read, unfortunately we hear a lot of nursing homes aren't run as well as this one seems to be. Very interesting characters too. I want to read more about Tess. Sounds wonderful. A book I will love to read. I'd like to read Tess's story. It sounds like she's had an interesting life journey. Beautiful cover and I really enjoyed the review. A new author to me and I'd like to change that asap :) Looks wonderful. This read could help people see that homes can be good for the patient.